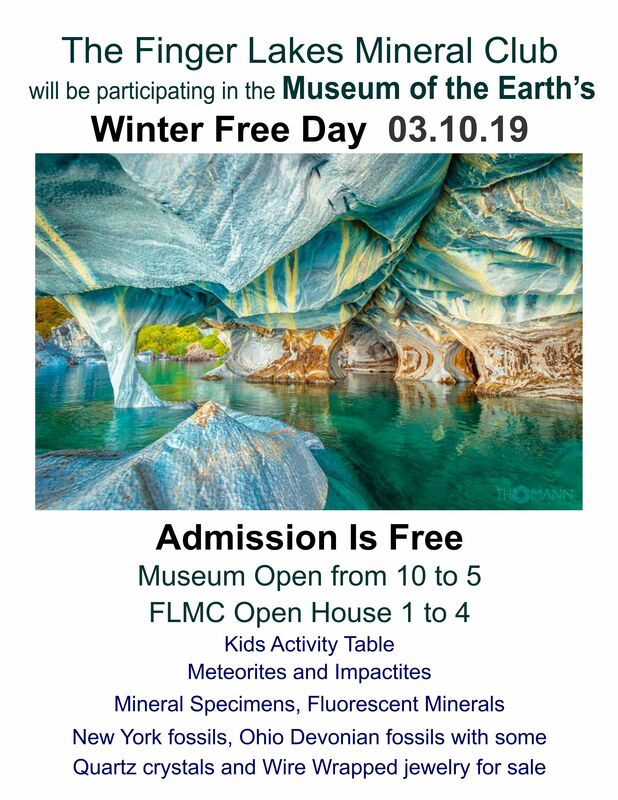 Finger Lakes Mineral Club open house is March 10th! 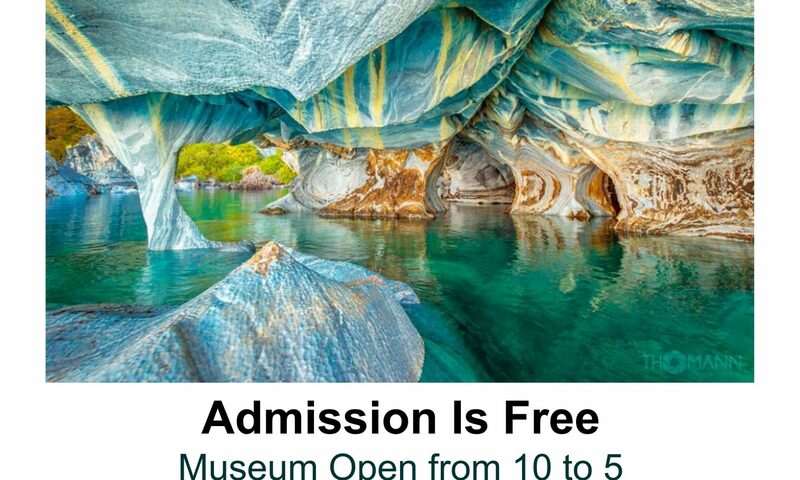 Finger Lakes Mineral Club is March 10, 2019 at the Museum of the Earth! March 10th from 1 to 4, in conjunction with the Museum of the Earth Free Day 10 to 5. The Finger Lakes Mineral Club was established in 2012 and is in Ithaca, Tompkins County, also serving Cortland and Schuyler Counties, New York. The club promotes interest in field collecting, preservation and study of minerals and fossils, and also promotes interest in the lapidary arts. Explore Earth and its prehistoric past—from the tiniest trilobite to the mighty mastodon—through engaging displays, hands-on features, stunning fossils, and science-inspired art. Unearth and take home your own fossils from Fossil Lab. Marvel at the Hyde Park Mastodon, one of the most complete mastodon skeletons ever found, and the 44-foot Right Whale #2030. Watch paleontologists uncover dinosaur bones and other exciting fossils in Prep Lab. Have you ever wondered what the Earth was like millions of years ago? How changing sea levels, shifting continents, and mass extinctions shaped the world as we know it today? Take a special guided tour through Earth’s exciting history in A Journey through Time, the Museum’s permanent exhibition hall. Tours meet at the bottom of the Museum ramp and last approximately 30 minutes. In 2013, the Cayuga Nature Center became PRI’s newest public venue for education. The Nature Center cultivates an awareness, appreciation, and responsibility for the natural world through outdoor and environmental education. The goal is to transform the Nature Center into a premier educational center for teaching and learning about the impact of climate change on the fauna and flora of Tompkins County.